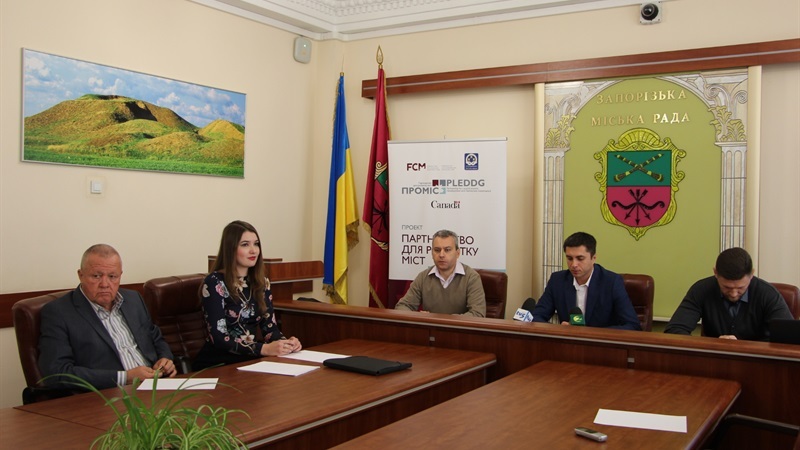 The seminar was held at the support of City Mayor Volodymyr Buriak, Zaporizhia City Council, and organized by Zaporizhia regional department of Association of Ukrainian Cities in the framework of PLEDDG Project, a Canadian technical assistance project. The top issue of the discussion was how local authorities and utility companies should adhere to publicity and transparency in their activity in line with the operative legislation and how to ensure access to requested information for citizens. Qualified advisers – the employees of legal departments of Zaporizhia City Council, delivered the lecture on this topic and shared accumulated information. – It is very important that all departments and all utility companies work in a uniform manner and understand the legislation equally, know case law well and the human-rights ombudsman’s position. We realize that the basis for public information transparency shall lie in correct application of operative legislation. This contributes to a greater extent of people’s perception of the local authorities’ attitude towards them. We have developed a practical base and have not been afraid of novations; we have been conducting inspections in executive bodies, and providing education and testing for specialists. We have done a great work and are ready to share practical advice on how we organize the work within our system, – Roman Omelianovych, Managing Officer of Zaporizhia City Council, said. This seminar helped specialists from local authorities and representatives of territorial communities learn the topic of access to public information in more detail.